This is the one part of installing a PV array that never seems to get easier although racking manufacturers are doing their best to help. 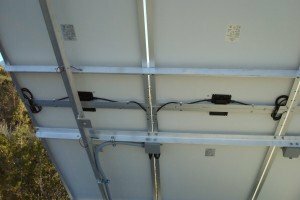 There are three objectives to managing these PV cables: 1. Secure them in a manner that is code compliant. 2. Protect the cables from damage. 3. Minimize visibility or secure them attractively. The objective is to select a method that does all three with minimum effort and cost. Let’s start with #1. The NEC states that USE-2 (PV wire/cable) must be secured within 12” of a junction box and then every 48” of length. While it is easy to achieve the 48” support requirement, it is not as easy to meet the 12” of a junction box requirement, especially from the PV module junction box. This requirement is often overlooked by inspectors if the cables appear to be well secured. The picture below shows how this 12” requirement is achieved and how it is not. 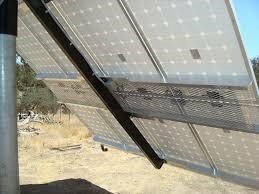 Another code requirement is the minimum bending radius of USE-2 and listed PV wire. USE-2 has a minimum radius of 5x the diameter of the cable; that is about the curve of a large cup. PV wire usually requires a radius of 8x the diameter of the wire; that is about the curve radius of a good hamburger.The problem with zip ties is with their strength and usage rating. 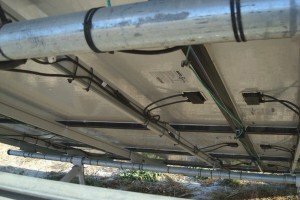 The typical black zip tie may not have a sufficient rating for the lifetime of the PV module. There is also an NEC requirement for the work to be in a “neat and workmanlike manner”. This gives the inspector a lot of leeway. Chances are good that if an electrical installation is sloppy, it also has some installation errors. By protecting the cables from unauthorized access, they are also easier to secure. Code compliance usually addresses #2 and #3 objectives. The best way to meet these objectives is to use the racking manufacturer’s wire management system and supplement it with some generic products like wire clips that attach to the module frame and UV rated zip ties. Pictured below are two manufacturer designed products and features for wire management. SnapNrack uses their open rail system for wire management. The plastic clips secure the cables into the rail trough. 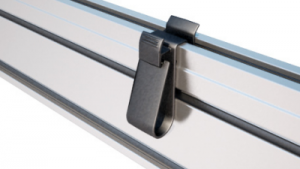 IronRidge provides cable management clips that are secured into the top rail. 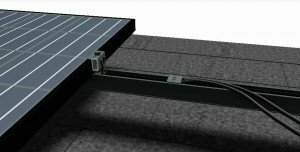 It is always a good idea to use the most common PV module frame mounted cable clips as a supplemental wire management system. One wire management system is never fully adequate for the various conditions that occur on site. When using zip ties to supplement the wire management system, consider the life of the plastic tie. 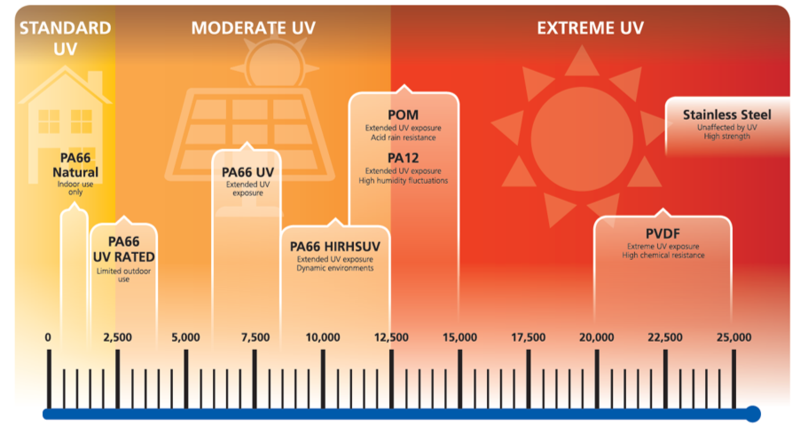 It needs to be UV and hard-use rated. The primary problem with wire management comes from lack of planning. By simply visualizing how wire management is to be handled prior to starting the job will go a long way toward making it a simpler process instead of a source of aggravation.